It’s happened to many of us. We go through college following a major that is either easy or convenient, only to find years later the field is not one we want to remain in the rest of our lives. After 10 years of experience in education, a degree in Human Development and nothing else on my résumé, I found myself in this exact position. I was good at it, but I didn’t like it. I wanted to throw in the towel in what I thought was supposed to be my career. In times like these, you find out real fast what you like to do. Writing was always a side passion, but I was never brave enough to chase it as a dream, let alone a career. I had a blog, but in 2010, who didn’t? After a few years of hoping someone would magically find my sports blog and pay me, I was still nowhere and considering giving up to remain in education. Then a buddy suggested the Bleacher Report Sportswriting Internship. Best advice I’ve ever received. I checked it out, worked up some courage and applied. One acceptance e-mail, 12 weeks and 40 articles later, my title of intern changed to Featured Columnist. Nothing has done more for my writing career than the B/R Sportswriting Internship. I learned to craft a lede, pick the perfect image to tell the story of my article, research deeper and hone my self-editing, among other fantastic skills. In addition to resources, the internship gave me an opportunity to surround myself both with peers attempting to travel the same path and professionals who’ve done it themselves. This included an in- depth feedback process on a weekly basis to establish what I was doing well and what needed work. Never before had I received such helpful critiques. It sure beat doing it by myself with no network. The tools to flourish, a class of like-minded individuals and a team of Bleacher Report support staff whose goal was to ensure my success. I couldn’t have asked for more. In April 2012, I finished the internship. In the ensuing months, I covered my beloved Oakland A’s and the WWE as a Featured Columnist. B/R even sent me to cover a few A’s games from the press box, with field access prior to game time. Twice I found myself on the field rubbing elbows with the players from my favorite team, thanks solely to B/R. Then in August, just four months removed from the internship, I was invited to participate with the program again, but this time in a paid position. Now working as a Feedback Editor with my second group of interns, I get the extreme pleasure of being a part of the process that improved my writing tremendously. It’s been a wonderfully gratifying experience thus far and I’ve been re-invigorated when it comes to my career. I’m excited about what my future holds, and I’m looking forward to continuing down this amazing path that began with Bleacher Report. 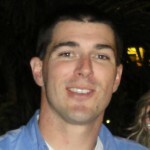 Nick Houser is an Oakland A’s and WWE Featured Columnist as well as a Feedback Editor for the Sportswriting Internship. Follow him on Twitter @Nick_Houser. An awesome story, Nick. It’s been a pleasure working with you so far, so that buddy of yours definitely deserves a thank you. Great story Nick!Way to follow a dream..too often people get stuck in a rut and are too afraid to get out. I’m trying to have it do the same for me. You have no idea how terrible collections is.